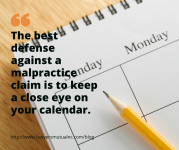 The best defense against a malpractice claim is to keep a close eye on your calendar. That’s because most claims are the result of administrative errors like missing a key deadline or not filing a document on time. “Although attorneys typically devote significant effort to ensuring that they get the substance of the law right, it is administrative errors that give rise to a substantial percentage of overall legal malpractice claims,” write attorneys Shari Klevens and Alanna Clair. The pair, who work at Dentons US – are co-authors of “The Lawyer’s Handbook: Ethics Compliance and Claim Avoidance.” Lately they’ve been poring over the most recent ABA Profile of Legal Malpractice Claims (it’s published every four years). What they found is that more than 20 percent of all legal malpractice claims in the US from 2012 to 2015 (the period covered by the latest Profile) were attributable to administrative errors. “More specifically, these claims often arise from clerical errors, failure to timely file documents or failure to calendar properly,” they write. By and large, these national findings are consistent with the claims experience here in North Carolina. This Lawyers Mutual chart lists five top sources of attorney mishaps: substantive errors (including not knowing or ascertaining a key deadline), inadequate documentation, conflicts of interest, fee disputes and poor client relations. On the substantive front, lawyers get sued for botching deadlines, not knowing the law and not conducting adequate discovery or investigation. As for documentation, practitioners can avoid trouble by using client engagement, nonengagement and disengagement letters. Put in writing terms of your employment agreement. Keep the client informed of the status of the case. Send the client a copy of all meaningful correspondence, including memoranda, pleadings and briefs. Return all phone calls promptly. Be on time for meetings. Protect client confidentiality and train your staff to do the same. What Are the Dangerous Practice Areas? Litigation is the riskiest practice area, says Lawyers Mutual. One risky scenario is when a North Carolina lawyer accepts an out-of-state case. Another danger zone in North Carolina is real property law. The top three errors in this field are wire fraud, failure to property cancel and equity line of credit, and disbursement of uncollected funds. Family law is also laden with minefields. 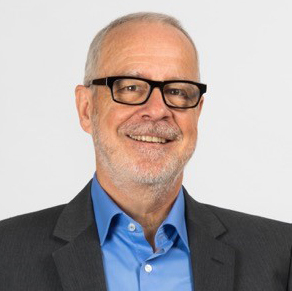 The two most common errors: failure to preserve equitable distribution and/or alimony claims prior to the entry of a divorce judgment, and errors related to the division of retirement benefits. Want more information on malpractice causes and prevention? Download this “Avoiding Malpractice Traps” practice guide. Or contact Lawyers Mutual today.